Wow! Just yesterday we reported Acer dropping a couple new education devices at the annual BETT show in London. Those devices, powered by the latest Intel Celeron chips (Gemini Lake), bring 3:2 screens, speedy performance, better screens, and military-spec ruggedness for the classroom. This group of devices announced today bring much of the same to the table, just in a more standard 11.6-inch, 16:9 form factor. Specs aren’t surprising and fall in line with what we’ve been seeing from EDU Chromebooks this year, but Acer has also included another AMD-powered device in the mix this time around. Honestly, we thought it a bit odd that Acer’s only AMD entry was the rather pedestrian Chromebook 315 we saw at CES, a 15-inch budget device that doesn’t have any of the ruggedness of other EDU-focused Chromebooks. Now that we’re seeing another AMD model in a much more robust chassis, I think Acer has a better answer to HP’s AMD offerings. All of these new Chromebooks are the 11.6-inch, 16:9 variety, so we’ll skip through that part on each. First up is the Acer Chromebook Spin 511 (R752T). With an antimicrobial Gorilla Glass display, Celeron N4000/N4100 processor and convertible form factor, this device comes in at a starting price of $379. It also features a stowable stylus for handwriting tasks. Second is the Acer Chromebook 311 (C733), which is a classic clamshell with a spill-resistant keyboard that can withstand up to an 11 ounce spill and is also powered by the Celeron N4000/N4100. This model will start at $299. 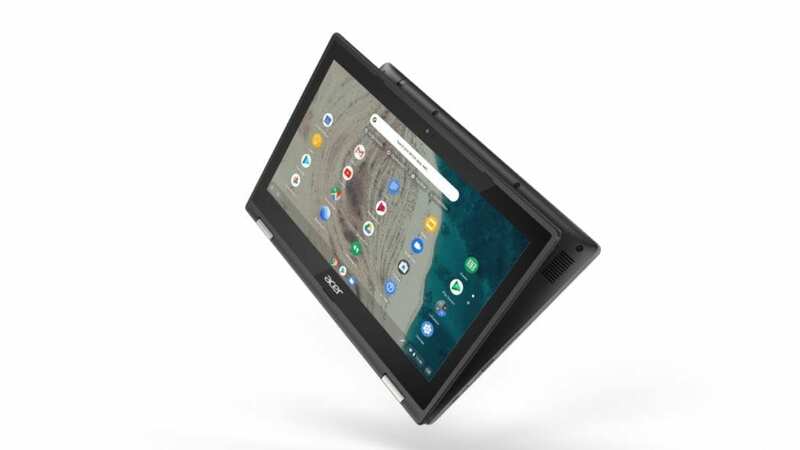 Third and fourth are a convertible and clamshell Acer Chromebook 311/Spin 311 (C721/R721T) that are powered by the 7th-gen AMD A4 processor. Both devices come with a tamper-resistant keyboard that is easily serviceable and start at $279 for the clamshell and $349 for the convertible. Apart from this, we don’t actually have a full spec rundown from Acer, but I’d fully expect to see 4GB/8GB RAM options paired with 32GB/64GB internal storage options. 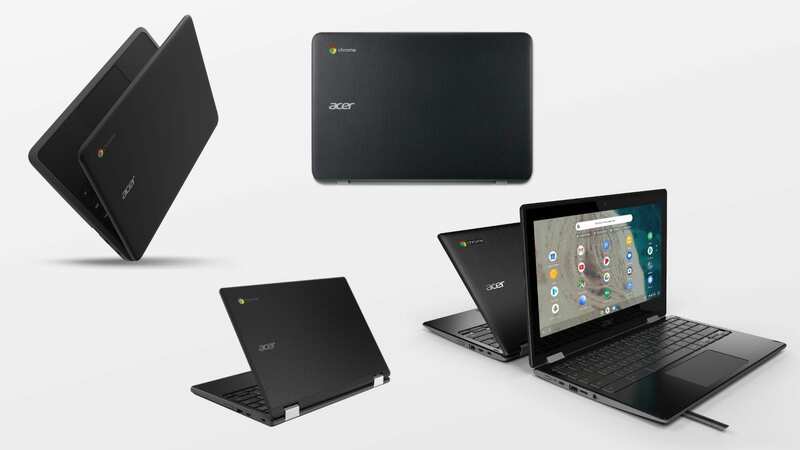 With a massive fleet of new Chromebooks on offer for the classroom coming in at a wide variety of pricing, Acer has clearly gone all-in on Chromebooks for education. As these devices start finding their way to market, we’re hopeful that we’ll be able to get our hands on a nice sample of all the models now on offer (6 in total!) and weigh in a bit on the best bang for the buck as schools begin to make purchasing decisions for the 2019-2020 school year.